In less than a decade ‘Scratch Live’ – the market-leading vinyl record emulation software invented and developed by Auckland-based Serato Audio Research – has become nearly as synonymous with DJing as the Technics SL-1200 turntable. By downloading Scratch Live software to a computer, and connecting scratch live hardware between a traditional DJ setup and said computer, DJs can now access and perform their entire digital music collection on turntables or CDJ players. Owing to the success Serato has had with this product in particular, Scratch Live is often colloquially referred to simply as "Serato" within popular DJ and dance culture. The path to Serato began in 1997 when company founder Steve West was attending the University of Auckland. He wanted to be able to slow down bass guitar solos in order to learn them. When he did so the pitch of the solos would change, but Steve wanted everything to sound the same only slower, so that he could learn the arrangements. Back then there were products that did this, but processing audio took almost a whole day and the results were often poor reproductions of the source audio. Following research and some complex mathematics, Steve wrote an algorithm that made it possible to alter both the pitch and the tempo independently – and did so in a matter of minutes rather than over an entire day. Steve’s friend AJ Bertenshaw, co-founder of Serato, saw the commercial potential of the invention. Despite Steve wanting to give it away for free, AJ convinced him to try and sell it. With the help of family investors they went to major electronics companies in Japan, but met with closing doors and nearly gave up on the whole idea. Eventually a market was discovered in motion picture post-production. AJ’s father Steve was in LA and organised a meeting with Sony Pictures. The engineer who agreed to meet with the pair was amazed. He realised the tool would significantly reduce post-production costs, eliminating the need to re-shoot scenes or re-record orchestras or other sound owing to other changes made at this stage of the film making process. The product, Pitch-N-Time, is now a widely used plug-in for industry leading digital audio workstations Avid Pro-Tools and Apple Logic. In 2000 Steve and AJ began experimenting with the idea of being able to emulate turntable-style scratching of audio with a computer mouse. They took the idea further and pressed a timecode onto vinyl. The result did not sound very good. After more beta testing, which involved asking DJs whether successive builds sounded and felt right, they created a timecode much better suited to manipulating a record based on their research into the RIAA curve (a pressing standard employed by the phonographic industry). The seed was sewn for a transportable device to enable performing DJs to perform on turntables using digital audio files. The first product Serato marketed after this innovation was not portable hardware for DJs, but rather a studio-based innovation. Scratch Studio Edition was a plug in for Pro Tools that allowed the user to scratch any sound file into their computer using either a turntable or mouse as a controller. Following taking Scratch Studio Edition to industry trade show NAMM in Los Angeles, the seed was sewn for a transportable device to enable performing DJs to perform on turntables using digital audio files. Despite Serato being located in the basement of 2002’s NAMM conference, word spread throughout the local DJ community that a new digital DJing system was being displayed at the trade show. Being that Los Angeles is a city rich with DJ and turntablist culture, some of the world’s best came through and tested the hardware and were impressed with how it performed. The product had made an impact, but was not practical for live DJs – a potentially far larger market. Serato then designed and manufactured the first portable system, returning to NAMM the following year with the device. A DJ who arrived to test the system took one look at the DJ mixer they were using and headed to the Rane booth to borrow one of their high-end mixers for the demo. This led to discussions between Rane and Serato, the former of which was well established in the DJ hardware market with their successful Empath and TTM-56 mixers. As the manufacture of hardware in New Zealand was unrealistic, Serato and Rane entered negotiations to bring Serato’s technology to market. AJ and Steve then got a $90,000 grant from Technology New Zealand and $20,000 from NZ Trade and Enterprise’s Biz awards, and Serato Scratch Live was released to the public in conjunction with Rane in 2004. By connecting a piece of Rane hardware (a portable box with input and output leads as well as a USB cable) between a traditional DJ setup and laptop, DJs could now access and perform their entire digital music collection, bereft of weighty (and often expensive to transport) cases of vinyl. Though not the first of its ilk – Stanton released a system called Final Scratch in late-2001 – Serato Scratch Live quickly became the industry leader owing to greater tactility and more reliable software than its predecessors, and the resulting embrace of well-known international DJs. Scratch Live’s success owes not just to the strength of the original product. In an industry where word-of-mouth is often better than advertising campaigns, some of the world’s best DJs embraced the product early on, including Jazzy Jeff, one of the greatest hip-hop DJs on the planet, and famous to a wider audience as having boomed and shaken the room with Will Smith. He bought the product early on, liked it, then thanked Serato on his album liner notes, recommending the product directly to other luminaries such as ?uestlove from The Roots. The approach Serato has taken to customer support has also helped. Again, bereft of massive marketing campaigns, the company runs an online forum where anyone can approach them with problems or suggestions. The final customer-friendly approach has been to make software upgrades free; meaning a user who bought hardware in 2004 can still run the latest version of the software. 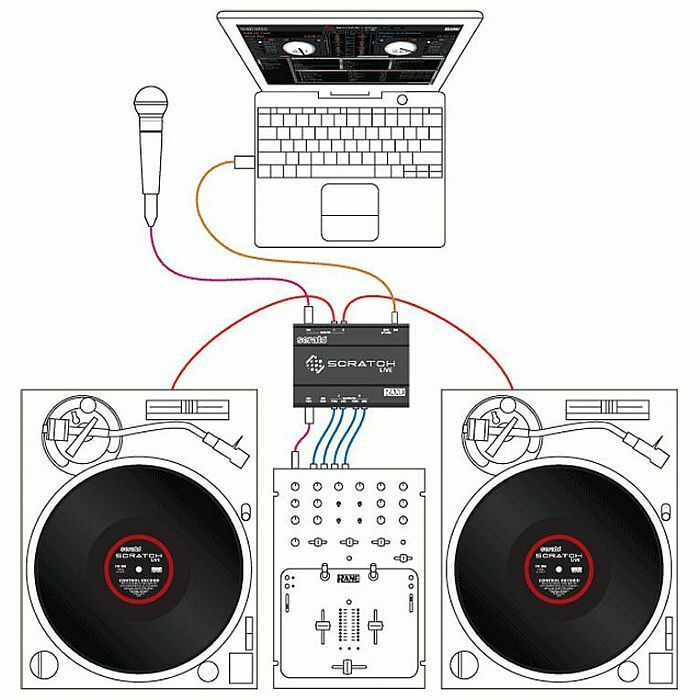 In 2007 Serato introduced two innovations for Scratch Live users, Serato White Label and Video-SL (now Serato Video). White Label is a Serato DJ-only music promo service, whereby users can download promos from leading record labels across the globe. Exclusivity derives from the fact that the MP3s play at an extremely low quality 32k unless played through Serato products – in which case the MP3s become high quality 320k files. Serato Video is a purchasable add-on allowing DJs to mix both video and audio in real time. Since the inception of Scratch Live, Serato has continued research and development into digital DJing. Though DVS (digital vinyl systems) remain popular, purpose built controllers are occupying an increasing share of the market. For this reason Serato have developed Serato DJ; software specifically developed for dedicated control devices and licensed to controller manufacturers such as Numark, Denon, Pioneer and Vestax. In late 2013 Serato announced Serato DJ as its all-in-one software package for both dedicated control devices and DVS users. This announcement was seen as inevitable by many in the industry, as there is now no need for multiple software packages. Scratch Live will be supported until the end of 2015, but there will be no further updates (apart from bug fixes) to the software. For decades we’ve heard about New Zealand musicians trying to crack the North American market, a phenomenon not so common for local music technology producers. Meanwhile, from humble beginnings last century, New Zealand-based innovation Scratch Live has become the dominant product used in the United States professional DJ market and is hugely popular across the globe.